The Old West has its mythic gunslingers such as Wyatt Earp, Billy the Kid, and Jesse James, but now, another name can be added to that list. His name: Rango. 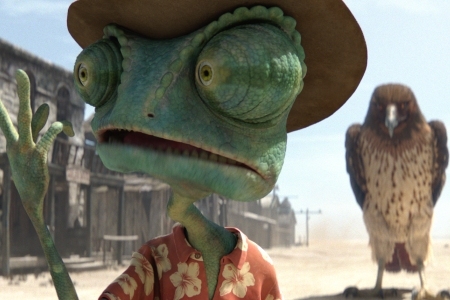 As the most unusual character to wear a ten-gallon hat, Rango, a method-acting chameleon, takes you on a thrilling, hilarious quest way over his scaly, delusional head. Director Gore Verbinski’s animated feature follows the title character (voiced by Johnny Depp) through the barren desert after his glass tank falls out of a car. From the moment Rango realizes his hostile predicament, the film delivers plenty of laughs with slap-stick gags and referential humor in the form of hallucinations and a cameo by Depp’s friend and former role, Hunter S. Thompson (Fear and Loathing in Las Vegas). There is also a disparity in the age-level of humor as it’s anchored by Western images and dialogue consisting of diction that few children will get. 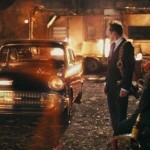 It’s not necessarily a flaw that the film’s aim is skewed more towards grown-ups, but anyone under the age of ten won’t understand words like “prostate” used in some of the quick one-liners, nor will they realize how many Westerns are given homage to, playing on the nostalgia of an older generation. 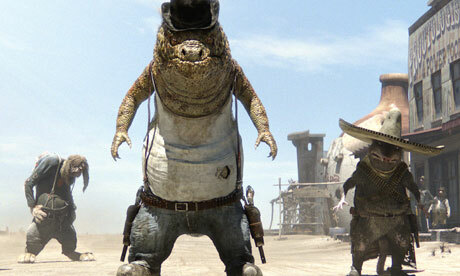 Once Rango stumbles upon the town of Dirt and its animal inhabitants, the lizard puts on a façade of a western badass, selling himself to the townsfolk as something he’s not. 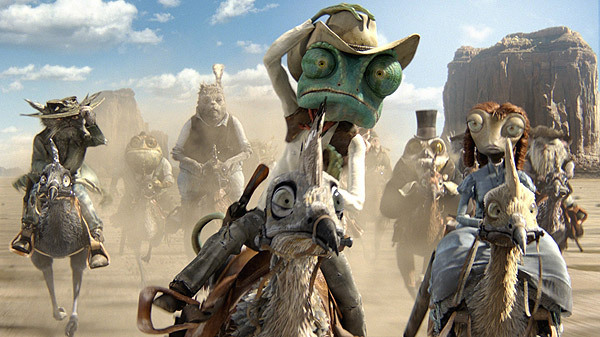 The film lingers on this build-up of lies with the audience anticipating for it all to collapse, but before Rango follows a predictable path, Verbinski pushes the film into unforeseen territory with exhilarating gunfights and aerial battles. Half-way through the second act, the film jettisons forward like a rollercoaster in the desert with adventurous set-pieces that trump most of what Hollywood has offered lately with its live-action blockbusters. When the film takes a break from the gunfire, it plunges head-first into a surrealistic fairytale through trippy moments of epiphany more creative and entertaining than any drug-based comedy. 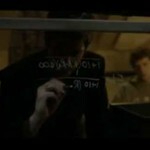 The biggest highlight of the film lies within the gorgeous animation. Standing toe-to-toe with Pixar, the vast color palette and fine details give life to each character as they bask in the desert lighting. Close-ups revel in the most minute features from the scales on Rango’s face to the dry mud in a prospector’s fur. 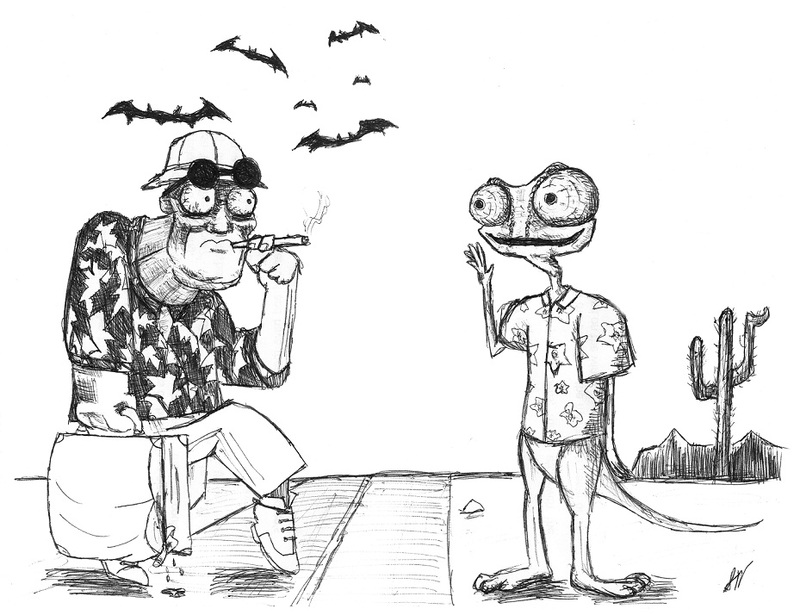 The character designs are also exceptionally unique, playing on the tropes of the Old West and blending them with the most unusual critters you’ll find chilling at a saloon, from an outlaw gila monster and his reptilian posse silencing everyone with their entrance to the town-drunk turkey getting thrown out of the bar. There are even a few characters that may appear gruesome or frightening, such as the menacing Rattlesnake Jake with his demon-red eyes and malicious slithering. Verbinski delivers a heaping plate of cinematic enjoyment with the twisted world of Rango, making the film a refreshing ice-cold beer in the desert sun. It’s dirty and beautiful at the same time, a mesmerizing combination on the foundation of a familiar, yet quirky plot that remains head and shoulders above the majority of animated features released in the past few years.